I was in a surf shop in Byron Bay, Australia and I stopped to take some photos of this really cool artist work – google him and learn more. In the works based on children, impressions of the joy and innocence of childhood are ever-present. The compositions are reminiscent of bygone days and loaded with toys, pets and adventure. As seen in recent paintings of summers by the sea, the artist reveals a playful inquisitiveness that provokes fond memories of youth. In the portrait series, Bromley explores the female form. Commonly, the paintings are life size poses, whether provocative or demure, of models from fashion and film. The portraits are commanding and seductive, the females attractive and bare breasted. However diverse in his subject matter, Bromley’s work is enduringly figurative, daringly coloured and executed with a graphic intention reminiscent of Warhol’s Pop Art from the 1960s. This can be seen in the layering of high key colour, graphic brushwork and gold and silver leaf. 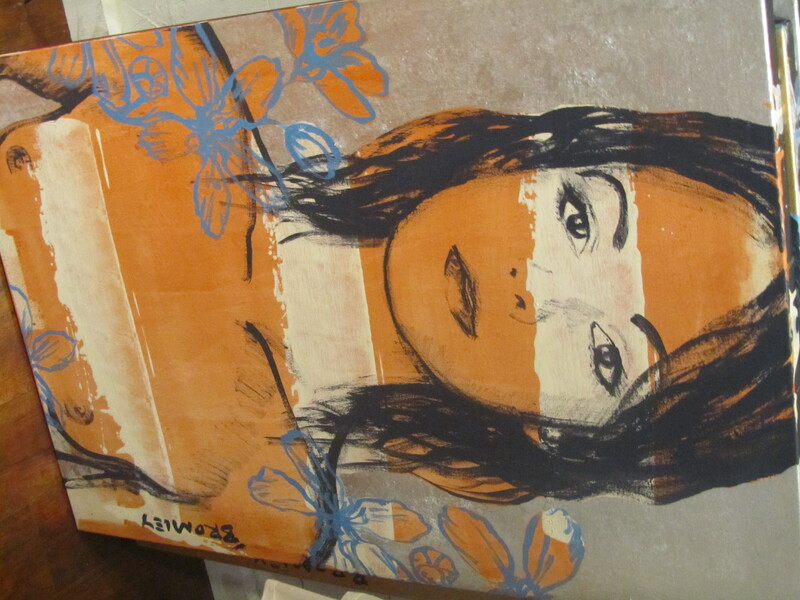 Bromley states that he is inspired by Warhol’s work, ‘in particular his portraiture and figurative work’. 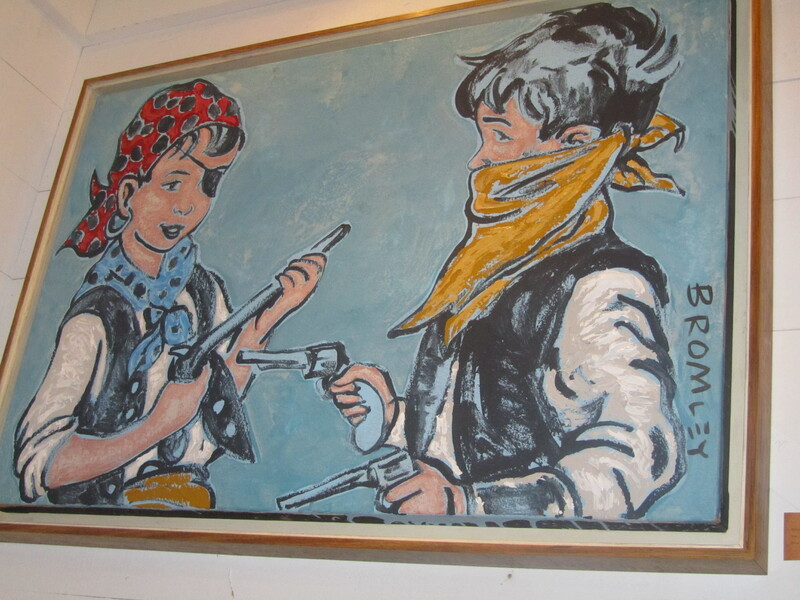 David Bromley has held solo exhibitions with Tim Olsen Gallery since 2001. In the past five years, his work has achieved a global identity with major exhibitions held throughout Australia, Asia, Europe and the USA.